holo: a combining form meaning whole, entire (holomorphic): having the two ends symmetrical in form: said of a crystal. scope: the extent of the minds grasp; range of perception or understanding. These two words represent the object and the subject. The object is actually twofold. There is the exterior, being the form of the polyhedron itself, and the interior of the reflecting inner faces and truncated vertices. The dynamic behind the holoscope is that there are two perspectives to consider. One is the type of polyhedron that has been fabricated, and the other is the type of three dimensional interior pattern that the polyhedron reflects. The subject is that the two perspectives work together in order to form the whole. 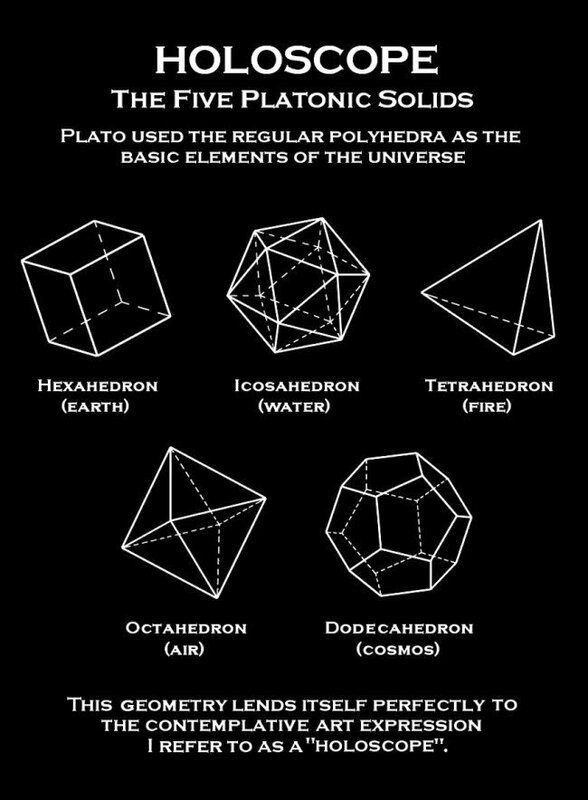 Most of the polyhedrons that I work with come from the Five Platonic Solids. Giving these regular solids reflective interiors has added a whole new dimension to this ancient geometry. This regular polyhedra does exist in nature. Living organisms on a microscopic level have been seen at times to conform to the shapes of the platonic solids. Crystal structures formed by certain atomic bonds are known to have the same symmetrical qualities. of the atoms which make up the crystal. 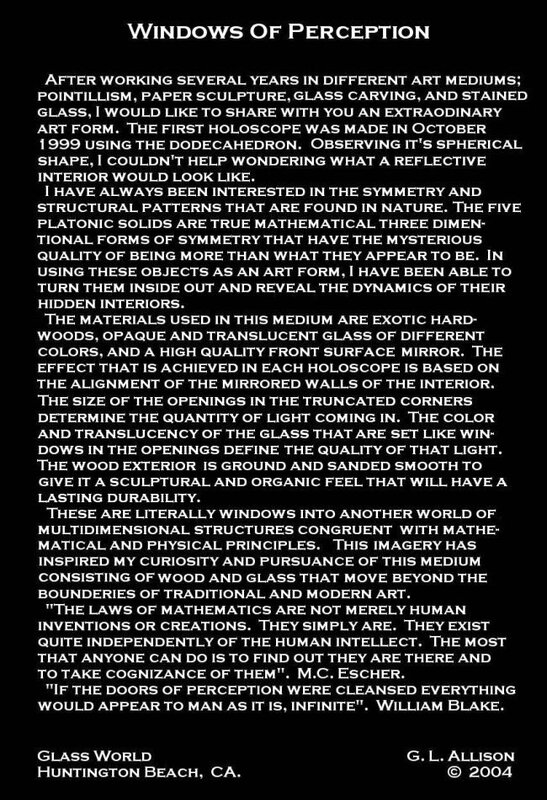 This is a paper I wrote for the holoscopes in 2004 while I was living in Huntington Beach CA. I now live in Palm Desert CA.